In the years since Stalin's death, his profound influence upon the historical development of Communism has remained elusive and in need of interpretation. Stalinism, as his system has become known, is a phenomenon which embraced all facets of political and social life. While its effect upon the Soviet Union and other nations today is far less than it was while Stalin lived, it is by no means dead. In this landmark volume some of the world's foremost scholars of the subject, in a concerted group inquiry, present their interpretations of Stalinism and its influence on all areas of comparative Communist studies from history and politics to economics, sociology, and literary scholarship. The studies contained in this volume are an outgrowth of a conference on Stalinism held in Bellagio, Italy, sponsored by the American Council of Learned Societies. In his major contribution to this book, Leszek Kolakowski calls Stalinism "a unified state organism facing atom-like individuals." This extraordinary volume, augmented by a revealing new introduction by the editor, Robert C. Tucker, can be seen as amplifying that remark nearly a half century after the death of Joseph Stalin himself. Contributors to this work are: Wlodzimierz Brus, Katerina Clark, Stephen F. Cohen, Alexander Erlich, Leszek Kolakowski, Moshe Lewin, Robert H. McNeal, Mihailo Markovic, Roy A. Medvedev, T. H. Rigby, Robert Sharlet, and H. Gordon Skilling. 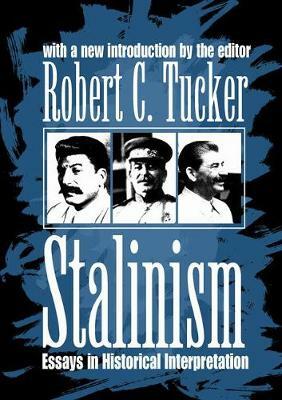 Robert C. Tucker's principle work on Stalin has been described by George F. Kennan as "the most significant single contribution made to date, anywhere, to the history of Soviet power."